I am going to start this article with the following excerpts from the description of the mission and vision at the Yourlifelifter Facebook Page. You will see in a moment why. And, so, in this continued spirit of providing truth-based emotional healing solutions, I was inspired to share these lessons I have learned and the truth I want to share with other narcissistic abuse survivors or for that matter, “anyone seeking emotional freedom” before, during, and after the 2016 campaign and election for the President of the United States. I have always known, based on my decades of research on pathological narcissists, that the Republican candidate for President of the United States and now the President elect is a pathological narcissist. I actually thought it was a joke when I saw him running for office and I was beyond shocked when he was selected as the Republican candidate. I was not shocked, however, when top psychology experts in the world, for moral and ethical reasons, put their reputations on the line and other countries stepped forward to warn the world of his pathological narcissism and compared him to other authoritarian dictators and fascists like Hitler, Ceausescu, Mussolini, and Mao Tse Dung. And if you study the history of democracy, you well understand why all authoritarian narcissists are able to come into power. I explore this in much more detail in Terrorism, Politics, and the Pandemic of World-Wide Narcissism. You can also read more here on Plato’s views on tyranny and what threatens a democracy. Anyway, my shock turned pretty quickly to acceptance that the Republican candidate could win (was disappointed in the pollsters though) and I focused on learning more about the mental state of the community members at Yourlifelifter and the citizens of the United States that would cause them to vote for who is to me clearly a potentially dangerous pathological narcissist and who had been exposed as one by the experts and even Plato who warned everyone a few thousand years ago of their threats to Democracy. So, I delved into the political scene to learn more which is totally out of my realm because frankly, I always hated politics, well, I thought, until the campaign, election and the fallout tweaked my personal passion for truth. I, in this journey, especially focused on how people with differing opinions treat each other and how narcissistic abuse survivors (over 15,000 at Yourlifelifter) would respond to an unqualified charismatic rich pathological narcissist running against a powerful bright not so charismatic very qualified woman who had been in public service for many years and who had been scolded but cleared of charges for inappropriately handling her email. By the way, I was very familiar with how to handle them since I had a security clearance for over 20 years and dealt with information classification issues all the time. So to better understand the emotional state of the United States and those at Yourlifelifter, I researched and watched hundred of videos, and read thousands of posts, news reports, articles at Republican, Democrat, Independent, liberal and conservative popular and not so popular sites on social media, magazines, news stations, television, and newspapers. I also commented personally on many that peaked my interest and I thought I could bring value to based on my unique perspective and the maturity level of my emotional healing and a person who is very experienced on the dangers of pathological narcissism and even the complexities of handling classified documents. And so, I, also, consistent with the mission of the Yourlifelifter Page (see above) that is my responsibility to ensure is met, shared fact-based information I found on the Republican candidate’s pathology related to “healing from narcissistic abuse and seeking emotional freedom” with the Yourlifelifter community. Most emotionally unhealthy and emotionally immature people, when their beliefs are challenged, become abusive and revert to hostility, covert aggression, overt aggression, disrespect, name calling, scapegoating, diversion tactics, diminishment, denigration, false accusations, lies, intolerance, all grouped together otherwise know as covert and overt abuse (in the professional healing and psychology circles). Most emotionally healthy and emotionally mature people show compassion, tolerance, respect, cohesiveness (otherwise called integrity of character) when their beliefs are challenged. A pathological narcissist in a power position who aggressively exemplifies hate and bigotry can very easily incite others to the same behaviors and can incite tyranny as Plato warned 2000 years ago. Read more on why America’s therapists believe the emotional pain Trump has caused presents a real and present danger for a national mental health crisis. I also concluded that what I was seeing and continue to see in real time were the same behaviors exemplified in any dysfunctional and exploitive pain- and fear-filled abusive family or organization where pathological narcissism or other emotional or character or personality disorders or moral or character deficiencies that drive group- and fear-based thinking rather than healthy individual thought exist. Read more here on dysfunctional families and intergenerational abuse. Read more here on Plato’s views on tyranny and what threatens a democracy. I was seeing, in real time, abusers continuing to exploit the kind compassionate empathetic people no different that what existed in my family and what the over 18,000 abuse survivors at Yourlifelifter confirm daily. So my compassion for those who were being triggered and victimized did not decrease, it increased. And my healing and truth were validated because I did not fall into the group of “emotionally unhealthy and immature” people in the first bullet above. Sadly, many of my friends and family did. I knew or suspected that anyway. Its validation in their overt abhorrent behaviors, however, made this evident and painful. Here, too, are my top three specific observations on these dysfunctional and maladaptive behaviors (that, I am sad to say, serve as a pulse on the emotional state of most people). Hostility, scapegoating, or covert aggression. Yourlifelifter community members and I personally experienced this numerous times and repeatedly from several people (in spite of asking them politely to stop) by simply stating the obvious such as the behaviors of the Republican candidate (reported by several experts to be a classic pathological narcissist) were triggering narcissistic abuse victims. Now, what person who has suffered from narcissistic abuse or studied it on some level, would not reasonably think this would be obvious from anyone, male or female, spouting out sexist, misogynistic, hate filled and violence promoting comments and blatant lies? Note: By the way, these people have all been banned from Yourlifelifter since their healing goals do not align with the mission of the Page and their behaviors violate the Page’s rules of behavior that I monitor and strictly enforce. Read the entire article here on why America’s therapists believe the emotional pain Trump has caused presents a real and present danger for a national mental health crisis. I also saw many covert aggressors who sneakily use diminishment tactics such as “show me” after you have showed them dozens of times or that they do not see it that way but literally provide you nothing to justify why they don’t see it that way. Sorry, folks, magical thinking and self-righteousness are not based on facts. Facts are neutral. Magical thinking and self-righteousness are founded on bias and your need to feed your ego that is self-serving. They are not intended to contribute to better understanding, solving problems, reconciling conflicts, supporting healing or coming closer to truth. It is what I refer to as “talking smack” and is plain BS no matter how you mask it, polish it, glitter it, or troll it. It still stinks. I discuss further in Why Narcissists Lie and Why We Should Care More Than We Do how people who have low self-worth and who have not been taught to think critically assess the evidence presented to them through a framework of preexisting tribal knowledge of beliefs and prejudices and fears they have been taught and rewarded not to question and perhaps punished for questioning. They live comfortably believing what they think is true with little tolerance and adaptability to challenges to those beliefs and if presented with proven documented information that doesn’t fit comfortably within their inflexible limits of tolerance, they will continue to accept and defend their belief and even aggressively attack the facts presented or their messenger if the facts are threatening enough. In essence, their fear overrides the motivation to use the new information to improve their beliefs and thinking that can help them override the fear and reliably make their lives better. 2. Hate and lack of compassion abuse survivors showed toward others. I observed blatant, rampant, disgusting profanity ridden abusive and invalidating behavior from abuse victims towards other suffering abuse victims, in particular, those who are triggered and feel in danger as a result of a pathological narcissist’s candidacy, those grieving and mourning his election, and those who now are acting on their legal rights and protesting in response to the threats they feel his election pose on their and their families’ lives, freedom, and safety. 3. Prejudice of women towards women. I was dismayed, in 2016, at the high level of extreme prejudice women exemplify towards other women and especially towards minority women and women in powerful positions. I do not see, sadly, much improvement over the past 40 years as demonstrated in the Cheatham sexism studies in the military academies from 1979 that showed that over time women become more prejudiced towards women. I did observe, however, blatant, rampant, profanity ridden abusive and invalidating behavior from women towards all women including the First Lady, Secretary of State, and any woman for that matter they perceived as more educated, more experienced, in powerful positions, minorities, or who had non-traditional jobs. Read more about this distorted thinking under Item No. 1 above. 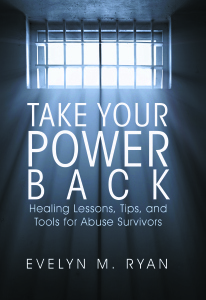 And these shameful truths empowered me and invigorated me even more to continue on my life’s healing work and my efforts to promote women because they showed me how much healing not only abuse survivors need but ALL people need. They also showed me how little people know about the pandemic of pathological narcissism and its dangers as well as the dangers their own personal dark sided thinking impose on their own, their children’s, and everyone’s welfare and well-being and on peace and harmony in the world. 1. There is a huge difference between righteousness and self righteousness. Righteousness like character we work for. We are not entitled to either or to arbitrarily claim them. And the path to righteousness is the path to enlightenment, to the light. This is the path, for abuse survivors, to healing and emotional freedom. And self-righteousness we don’t work for and it is the path to personal darkness, to hate, to bigotry, etc. Why? Because self righteousness serves a weak underdeveloped ego and does not add value or meaning. It does, however, feed your weaknesses, fears and all that prevents you from finding your personal truth and becoming the best you can be. It causes you to maladapt to survive. Thinking you are right, well, just because you think it or others tell you that you are, does not make it right or safe or legal or above the law or entitle you for exemption from the standards you hold others to and condemn them for. Believing lies does not make them true. And not believing the truth does not make it a lie. That is not righteousness. It is self-righteous ego-driven indignation and exploitation. Truth is truth. This is why we have these value-adding things called knowledge, religion, education, self-improvement, principles, standards, rights, morals, ethics, rules, checks and balances, laws, tolerance, compassion, respect, and love. And we have this thing called integrity of character that we work for that we develop from honing the use of these value-adding things to become people of integrity, righteous people, enlightened people. And why does it take work to become people of integrity, good people, people qualified for our jobs? Because we have to fight our egos, our dark sides (yes, we all have them) and peel away all those false beliefs that feed them, to get to the light, to get to the truth, to bring real value and meaning not only to our selves, but to our jobs, families, friends, children, and to our fellow Americans. Value and worthiness come from truth, not from illusions of grandeur. That is magical thinking. This is life, not the Land of Oz or Lance Burton’s or Criss Angel’s Magic Shows on the Vegas Strip, or a game show. We have to put our egos aside and stop relying on others’ approval of our beliefs and, in stead, source validation of our worth from our own being. We must stop being fooled by glitter and move towards the light to build personal integrity and tap into our strength to attain authentic personal power. What do you think the Bible is about or why it or in fact all scriptures were written? If you do not know or are not clear, I highly recommend that you go back and study it or any of the scriptures from any religion for that matter. 2. The dark side of life, the truly evil, the snakes in suits, the wolves in sheep’s clothing are packaged as everything you ever wanted. Pathological narcissists are slick. Why? Because they have to be otherwise they would not be able to survive. They pick from a well honed bag of manipulation tricks including charm to deliberately and intentionally feed your ego, your false pride, your need to be right, your fears, pains, apprehensions, weaknesses, and your vulnerabilities. Charming smack talking pathological narcissists that have infiltrated all walks of life including the priesthood, religious organizations, politics, and “do-good” organizations do not nurture your soul. They exploit it. And they thrive in chaos when everyone is distracted by and focused on coping in desperation with their fear and powerlessness. Why? Because they lack compassion and have to because they, unlike you, are broken and cannot ever find truth. They cannot heal and there is no cure for evil and no one on this earth has any divine power to pardon it. They lack the power and ability to become people of integrity. They cannot generate or source their own power. So they consciously and intentionally develop and use aggression and other covert and overt manipulation tactics to exploit power from others who are vulnerable to their attacks. They camouflage well their true intent and even pretend to love you to exploit you. We live in a democratic republic, remember folks, and we all have inalienable rights to use our free unhindered will to pursue life, liberty, happiness and our own personal truth. But the manipulators, the disordered, the weak and fearful, and truly evil on this earth exploit you for their personal gain and they use charm and glamor and love and will tell you everything your ego, your dark side, needs to hear and will do anything they have to con you into giving up your power and get your adulation and attention from you. They want all the benefits that the righteous can provide without working for them. They prevent you from acting on your free will. They manipulate and exploit you and muck with your legal and inalienable rights. And after they use you for their personal gain and for what they cannot and do not want to supply themselves and consume all they can from you, they will sell you and even their own children for a nickel. It takes no effort to think you are right. But it takes an inordinate amount of effort to learn the basis for what is right, know you are worthy of that truth and the joy that truth brings you. To think otherwise is equivalent in logic to thinking you are better solely because you are white, black, rich, have a degree or hang around those who do, have a title or hang around those who do, or are President of the United States. 3. Someone who thinks differently from you is not an indicator that you are right and they are wrong or they are right and you are wrong or better or worse. If you think so, your ego (that is not on your side) and not your logical side of your brain (that is on your side) is speaking. People who are different from you are just different and like emotions bring color and depth to life. They improve the value of life. They are at a different stage of enlightenment than you are and like you, acting on their free will to pursue happiness, life, and liberty however way they choose. So if they trigger your fears or make you uncomfortable, they are not responsible. You are. And vice versa. And trying to prove yourself right by proving others wrong will not enlighten you or help to build character. Why? Because it serves your non-value adding ego. It serves your weaknesses and fears and prevents you from having skin in the game you need to develop the qualities that build character. It is equivalent to thinking your thoughts and beliefs are better than anyone else’s because you think them which also is self-righteous and just plain irrational. And working to become tolerant of people’s differences is what allows us to adapt, survive, live in peace and harmony, and sustain our happiness. It allows us to maximize our personal power and authentically live as we were designed based on joy not based on fears. It takes no effort to think you are right. But it takes an inordinate amount of effort to learn the basis for what is right and know you are worthy of that truth and the joy that truth brings you. To think otherwise is equivalent in logic to thinking you are better solely because you are white, black, rich, have a degree or hang around those who do, lie about your credentials, have a title or hang around those who do, wear a nice suit, or are President of the United States. That is the basis for child abuse and adult abuse. That is the basis for bigoted thinking. That is the basis for hate. That is the basis for intolerance. That is the basis for fear. That is the basis for aggression. That is the basis for emotional unhealthiness. That is the basis for inauthenticity. That is the basis for physical unhealthiness and disease. That is the basis for evil. 4. Aggression is not power. True power is to stand tough in your truth, your righteousness and personal integrity (in spite of their popularity) that are founded collectively in knowledge, morals, ethics, compassion, tolerance, and love. True power is demonstrated in living from a core of self-love, self-respect, self-reliance, authenticity, and self-worth and integrity of character. True power is the ability to influence people to become better people, support them in acting on their free will, and to live in peace and harmony. True power is helping others find their truth and having compassion for them while they search for theirs and not exploiting them or scapegoating them in their time of need or projecting your weaknesses on them because your ego needs you to believe you are entitled to. That is not power. That is acting on your emotional immaturity and self-righteousness and lack of moral compass that are some of the bases for evil. Evil is what the Bible and all scriptures attempt to reconcile and describe as those who turn “light into darkness and darkness into light.” These are the personality disordered, the hate filled hypocrites, extremists, frauds, grifters, pedophiles, rapists, sexists, misogynists, con artists, white supremacists, bigots, xenophobes, thugs, punks, liars, narcissists, psychopaths, and criminals. These are the ones who call you and pose as IRS agents and try to play on your fears to rip you off and con you. And no one from any political party is exempt from being any of these. These are the narcissists posing as healers on Facebook pages, the pedophiles who infiltrated the priesthood, and the pathological narcissists who con their way with charisma, lies, and playing to your fears to rise to power. They are human parasites, the snakes in suits and wolves in sheep’s clothing, the glittered turds. A snake in a suit is a snake. A wolf in sheep’s clothing is a wolf. And a glittered turd is a turd. Shall we have compassion for a vampire, a leach, a disease carrying tick? Shall we have compassion for human parasites and emotional vampires who exploit others for their malintent and personal gain because they believe they are entitled to? Evil is evil…if it looks like, if it smells like, it is. Are people all the same level of evil? No. Of course not. But evilness is like pregnancy. You are or you aren’t. And no one is immune. Beware of glitter. You cannot polish a turd but you can roll it in glitter but it will always remain a turd and the smell lingers. And the only way to get rid of the smell is to flush it. Truth on the other hand is like gold. It has to be worked for. It has to be mined and polished. And it may tarnish but it will never lose its true value or beauty. How Much Do We Need to Know About Narcissism to Heal? Like Cynthia, who commented previously, I journey on a path for wholeness, peace of mind, and peace for all. I am saddened by the response of American voters. I am appalled at the irresponsible actions of our government and media, for allowing an abuser to abuse publicly. I feel physically ill when I hear our president elect’s voice. And I feel alone…until I read your post, Evelyn. Thank you for your wisdom, compassion, and grace. Your words echo my thoughts. Your explanations summarize my fears. Living as a survivor of narcissistic abuse is challenging for me. I utilize my resources and am blessed with love and support. However, I fear stepping into the mess which is American society. Our situation screams HELP! And I only carry enough empathy to assist my small family group. I will listen to you and your emotionally healthy supporters, and I will learn how to live while turds are flinging around us. I use “no contact” with my abuser and I apply this process to political media…is this enough? Time will tell. Thank you for your kind words. Together we heal and thrive…keep me posted on your progress and look forward to your feedback. Happy New Year! Thanks for your words of wisdom in this tumultuous time here in America. What seems obvious to me is that people fear change. We in recovery know how difficult change can be, but we venture down that path nonetheless, bootstraps in hand. Change can be too slow (or too fast:)) and terrifying. Most people shy away from the work, and become emboldened not to, when the collective offers an excuse. Inured pain is at least familiar, false power too, and stepping out into new challenging waters is too scary for most. This election speaks to just that. I have to admit, I did not follow the news throughout, chose not to participate in debates or take sides on Facebook, too much discourse at a time when I’m trying to establish more peace of mind. I felt and feel now that that is my best offering. It’s not that I am apolitical and do not care, it’s that my composure in living my life in equanimity seems more of a political act. What I do feel from the results of this election is that collectively, we have a long way to go in healing, and I am trying my part to getting us there.